If you’re one of those people who questions why you should wear slippers, check out these 6 reasons wearing house shoes is simply the best. It’s no longer just an old wives’ tale: Experts warn having cold feet really can increase your risk of catching colds and the flu. 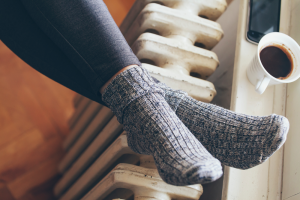 Dr. Ron Eccles, director of Cardiff University's Common Cold Centre, has studied the issue for more than 25 years and explains that when your feet get chilly, it changes the way your body is able to fight off disease and illnesses. Being cold also slows down the movement of the tiny hairs in your nose that filter out germs, which can also increase your risk of developing sicknesses during chilly weather. Case in point: Wear slippers to prevent getting sick! The soles of the shoes you wear outside are dirtier than a toilet seat. They contain feces, vomit, dirt, grime and millions of bacteria that have a 90% chance of transferring to the floor of your house if you don’t remove your shoes before stepping inside. To keep the nasty grime off your floors, be sure to take your shoes off before entering your house and wear inside-only slippers. 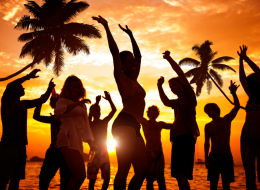 Numerous studies have shown that relaxed workers are more productive. 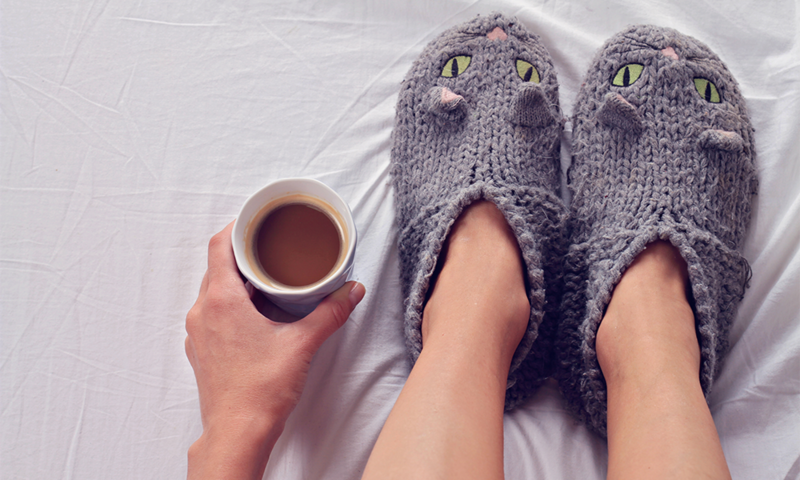 And nothing signifies relaxation quite like donning a nice pair of warm, fuzzy slippers. So slap a pair on those cold feet and get to working on things like organizing your tax documents, updating your resume, balancing your checkbook or starting that novel you’ve always thought about writing. There’s a reason fancy spas hand out slippers to guests who are visiting the pool, sauna and other public areas of the facility. Slippers act as a comfy protective agent against communicable foot diseases like athlete’s foot and toenail fungus infections. So yeah, don’t just wear slippers to feel pampered. Wear ‘em to keep your feet healthy, too. Socks wear out pretty quickly if you wear them around the house, and unless you’re lucky enough to receive ‘em for every holiday, then you know how expensive those buggers can be. Give your pocketbook a break by wearing slippers instead of socks when you’re inside. Wood, tile and linoleum floors can be slippery — especially if you’re wearing socks. Most slippers have a bit of grip on the soles, which can drastically reduce those pesky trips and falls that seem to happen when you’re rushing to answer your phone, answer the door, get to the bathroom and the myriad of other things you do around your house. The only drawback to wearing slippers: You’ll probably have to ditch your daily Tom Cruise Risky Business sock sliding routine. Damn the luck.